The 'Dictionary of the Old Testament: Historical Books' is the second volume in IVP's Old Testament dictionary series. This volume picks up where the 'Dictionary of the Old Testament: Pentateuch' left off - with Joshua and Israel poised to enter the land - and carries us through the postexilic period. Following in the tradition of the four award-winning IVP dictionaries focused on the New Testament, this encyclopedic work is characterized by in-depth articles focused on key topics, many of them written by noted experts. The history of Israel forms the skeletal structure of the Old Testament. Understanding this history and the biblical books that trace it is essential to comprehending the Bible. The 'Dictionary of the Old Testament: Historical Books' is the only reference book focused exclusively on these biblical books and the history of Israel. 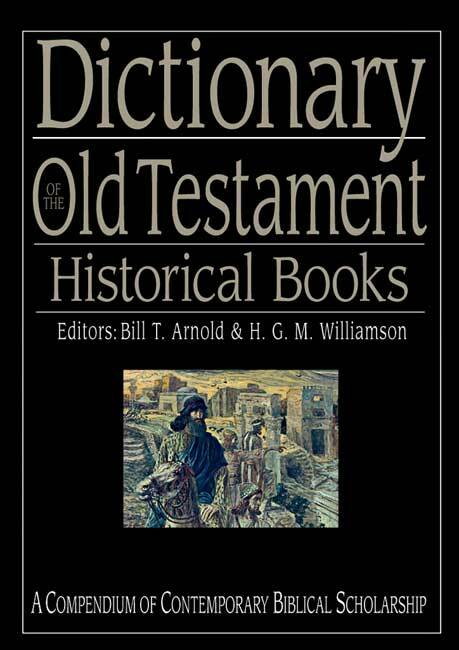 Dictionary of the Old Testament: Historical books by Bill T. Arnold; Hugh G. M. Williamson was published by Intervarsity Press in January 2006 and is our 19779th best seller. 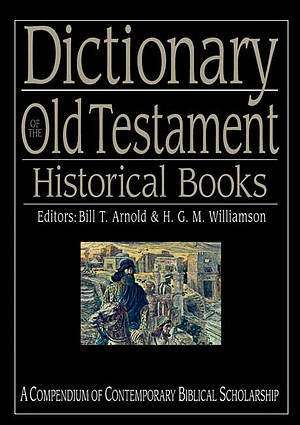 The ISBN for Dictionary of the Old Testament: Historical books is 9781844740949. A massive tome, packed full of information! No, I have not read every word, but I have spent hours pouring through items that caught my attention, being led on to others, and learning all the time. There is not a biased interpretation of any subject. The Editors specifically instructed the contributors to give space to opinions contrary to their own, resulting in balanced presentations throughout. Students will find this book of invaluable help whether seriously studying for exams or just wishing to deepen their understanding of the Old Testament writings. If you borrow it from a Library, you will have difficulty returning it within the time limit! Got a question? No problem! Just click here to ask us about Dictionary of the Old Testament: Historical books.